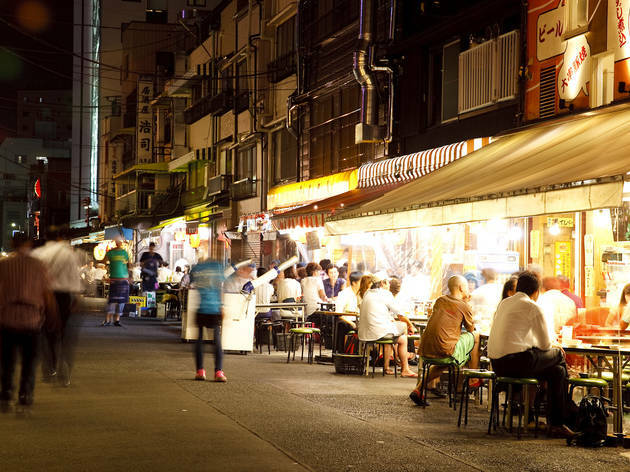 No need to fret if the name Hoppy Street doesn't ring a bell – this Asakusa alley, named after the classic beer-like beverage and also known as 'Stew Street', isn't exactly high on the list of standard tourist attractions in the area. 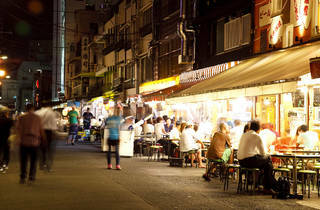 That, however, is part of the charm of this roughly 80-metre long street, located on the west side of Sensoji Temple next to an off-track betting zone. Although small and unpretentious, Hoppy Street boasts an impressive collection of storefront bars that offer drinks (and more) at very reasonable rates. Traditionally, patrons at these watering holes were a hard-drinking crowd, sipping beers as they scanned the latest horse-racing broadsheets, but young locals and travellers have also discovered the spot in recent years, leading to a change in atmosphere: on weekdays and weekends alike, race fans, tourists, and families with children in tow crowd the neighbourhood.